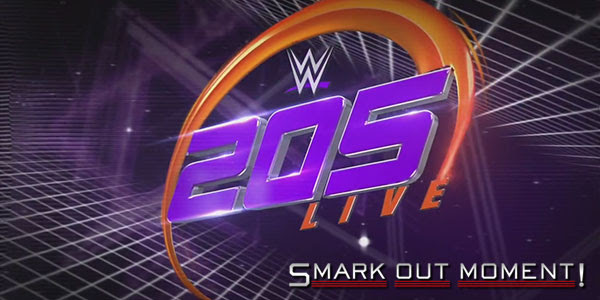 Tonight's episode of WWE 205 Live for March 7, 2017 is coming to you live from the Bankers Life Fieldhouse in Indianapolis, IN. Follow along here for ongoing coverage of the results of the show to find out what happens as things occur and chat with fellow WWE fans in the comments below! PROMO: Austin Aries addresses why he punched Neville in the face on Monday Night Raw: because he could, and he wanted to make a statement, so he had to go after the top dog. Out comes Neville to say he isn't on his level. BACKSTAGE: Rich Swann and Jack Gallagher are in the locker room hanging out. Noam Dar comes over to them to ask if they had seen who sent Alicia Fox flowers last week. After the match, another delivery guy comes out to give chocolates to Alicia Fox. Noam Dar takes credit for it again. BACKSTAGE INTERVIEW: Tom Phillips asks Brian Kendrick about Akira Tozawa's request for a fight. Kendrick says if Tozawa wants to fight, that's what he's going to get. BACKSTAGE INTERVIEW: Dasha Fuentes asks Neville about Austin Aries' upcoming match. Neville says Aries will regret his wisecracks and such.